Production: Goskino; black and white, 35mm, silent; running time: 80 minutes. Released 1924. 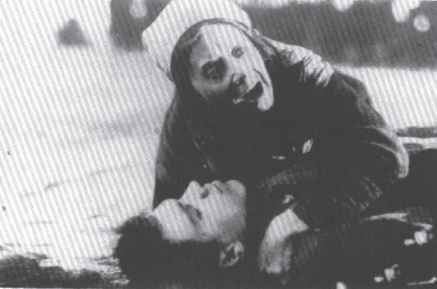 Scenario: Nikolai Aseyev and V. I. Pudovkin; photography: Alexander Levitsky; production designer: V. I. Pudovkin; assistants: Alexandra Khokhlova, Leonid Obolensky, Sergei Komarov, Porfiri Podobed, and Leo Mur. Cast: Porfiri Podobed (Mr. J. S. West); Boris Barnet (Jeddy, the cowboy); Alexandra Khokhlova (or Chochlowa) (Countess); V. I. Pudovkin (Zhban, the con-man); S. Komarov (One-eyed man); Leonid Obolensky (The dandy); V. Lopatina (Ellie, the American girl); G. Kharlampiev (S'enka Svisch); P. Galadzhev, S. Sletov, and V. Latyshevskii (Con-men); A. Goijchilin (Millionaire); Vladimir Fogel.